The Registration Officer manages and oversees UNHCR’s registration procedures and decision-making as well as related activities in the operation. The Registration Officer may be directly responsible for or extensively contributes to developing and implementing an operation-specific registration strategy in compliance with the overall protection objectives of the office, to ensure that registration is effectively used for the identification of specific protection needs, for the management of operations, and for the achievement of durable solutions. The Registration Officer provides day-to-day supervision, direction and support to UNHCR staff engaged in Registration and related activities (including Reception, Filing and Data Management staff), and monitors the efficiency and quality of registration processes, identity and entitlement documentation activities and population data management. The Registration Officer collaborates closely with Protection, Programme, Operational Data Management and Information Management colleagues as well as with key UN and international organizations, NGOs and partners on the provision of quality population data for the delivery of targeted protection or assistance interventions and programming and planning. The Registration Officer also liaises with other Registration operations in the region, the Regional Registration Officer, the Bureau and the Identity Management and Registration Section (IMRS) in DPSM to promote regional and global consistency in Registration standards and population data management. The launching of UNHCR¿s new, online case and identity management applications (proGres in Partnership and the Biometrics Identity Management System, BIMS) will require extensive contribution from the Registration Officer in relation to both business input on usage of the tools and the deployment of the tools to support continuous registration, data management and other case-related activities. – The operation has sufficient support to set up a clear and coherent Registration strategy which reflects UNHCR¿s country, regional and global priorities and objectives. – UNHCR’s Registration Standard Operating Procedures (SOPs) are implemented in accordance with relevant UNHCR standards and policies. – Persons of concern have fair and transparent access to registration procedures. – The integrity of UNHCR’s registration procedures is ensured and refugee identities are secured over time through the implementation of case management and identity management tools. – UNHCR’s population database (proGres) is maintained to a high standard and remains a reliable, trusted source of personal information and protection needs of persons of concern to UNHCR. – Contribute to the design of appropriate registration strategies and approaches for populations of concern in compliance with the protection strategy of the operation, ensuring that registration standards are met and that appropriate methodologies and technologies are implemented. – Plan, implement and monitor registration-related activities, as part of UNHCR¿s normal planning cycle to ensure that provision is made for material and human resources to adequately support the process. – Design, implement and revise, as required, operation-specific SOPs for all aspects of registration in accordance with applicable standards and policies, including provisions for the protection of individual data and prevention and identification of fraud. – Contribute to the development, enhancement and implementation of the online case and identity management applications (proGres in Partnership and BIMS). – Design appropriate procedures and systems for the assurance of quality registration data through the implementation of continuous registration and verification exercises, including the facilitation of additional data collection in accordance with operational programming and protection needs. – Conduct regular data quality and audit checks to monitor the accuracy of data collected as well as a tool for identification and prevention of fraud. – Develop and maintain information campaigns and processes to ensure that persons of concern, Government authorities and partners have accurate information on registration procedures, including UNHCR standards, policy and practice. – Advocate with and support Government authorities and partners to establish and strengthen fair and efficient Registration procedures including the recognition of UNHCR identity and entitlement documentation and associated rights. – In cooperation with Protection staff; design, implement and monitor procedures for the identification and referral of persons of concern with specific needs who may require follow-up protection interventions. – Assist in developing data management approaches and processing methodologies for efficient and accountable delivery of both material and cash-based assistance and other programming and protection needs. – In cooperation with Operational Data Management and Information Management staff, standardize consolidation and timely dissemination of reports and statistics on persons of concern, which will inform programme, planning, protection interventions and statistical reporting activities. – Develop data sharing agreements in close cooperation with Protection colleagues and the Regional Registration Officer. – Provide training to UNHCR and partner staff in registration methodologies, technologies and standards, to enable them to conduct registration activities and to manage registration and case related data on a continuous basis. – Support the country team to establish and strengthen internal capacity and/or that of government counterparts to manage registration and maintain population information. – Document and report on registration activities at the operation level, and report on the impact of support interventions to the management of operations. – Undertake other related responsibilities or functions as required. – Enforce compliance by UNHCR staff engaged in registration and related activities with UNHCR standards, policies and operation-specific SOPs for all aspects of the registration operation. 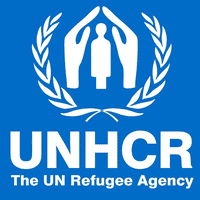 – Represent UNHCR with relevant external partners in-country, as applicable. – Design and review registration and registration-related documents, reports and statistics for internal use. – Undergraduate degree (equivalent of a BA/BS) in Social Sciences, Demography, Statistics, Information Technology, Geography, Political Science, Law, Business Administration, Humanities or related fields plus minimum 6 years of relevant experience. Graduate degree (equivalent of a Master’s) plus 5 years or Doctorate degree (equivalent of a PhD) plus 4 years of previous relevant work experience may also be accepted. – Strong understanding of the principles of and concepts of international protection and UNHCR. – Strong team building, managerial, planning, coordination and representation skills. – Excellent computer skills, particularly in data management. – Technical expertise in registration, individual case management and identity management systems, including proGres, in refugee and internal displacement situations. – Knowledge of UNHCR and interagency policies, standards, programmes and humanitarian operations in a variety of geographical locations and operational contexts. – Familiarity with planning, programming and implementation of registration operations at the field levels, including strategic planning, project development, budgeting and resource mobilization.